We’re ending the week with some old-fashioned cat wisdom and four feline fun facts. When these paintings of cats and kittens were painted over 100 years ago, cat care and veterinary advice was in Dark Ages. We’ve come a long way since then but the facts bear repeating in a fun new way. World Spay Day is February 23rd. Kitten season is coming. Kittens as young as 4 months old can and do get pregnant. 1) Let’s saves lives and misery by early spay/neuter. This is an ad for silk thread from 1912. 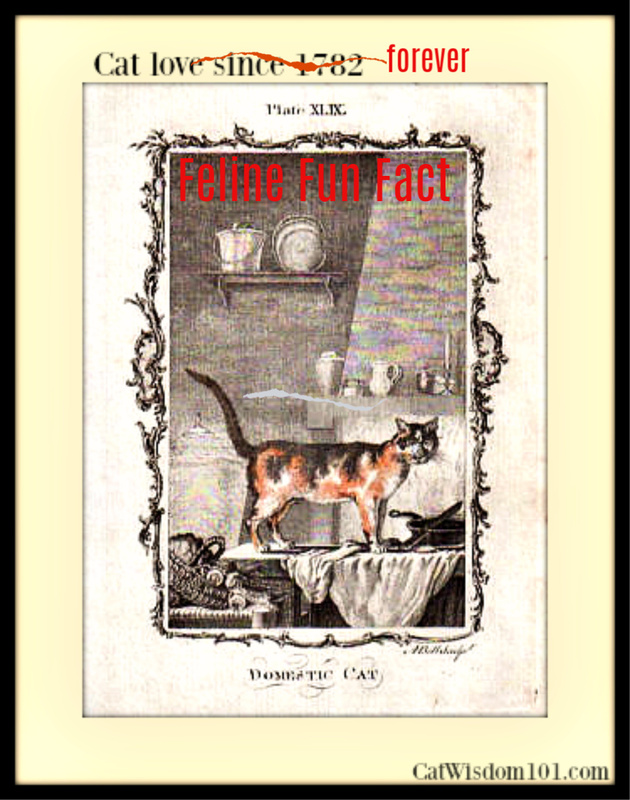 Cats and kittens have been depicted in art with ribbons and balls of yarn for hundreds of years. If you Google “cat ribbons” over 14 million results pop up. As long as advertisers continue to use ribbons and balls with cats, consumers are going to think it’s cute and safe. It isn’t. 3) Black and white cats like all two-colored cats are called piebald. If you don’t already follow us on Pinterest, please do. Just click on our Pinterest page. CatWisdom101 We have 47 boards and it’s more fun than a barrel of moo cats. 4) And one final cute reminder to spay/neuter and adopt. You are so awesome! I do not believe I’ve truly read through a single thing like this before. So nice to find somebody with a few original thoughts on this subject. Really.. thanks for starting this up. This website is something that’s needed on the web, someone with some originality! 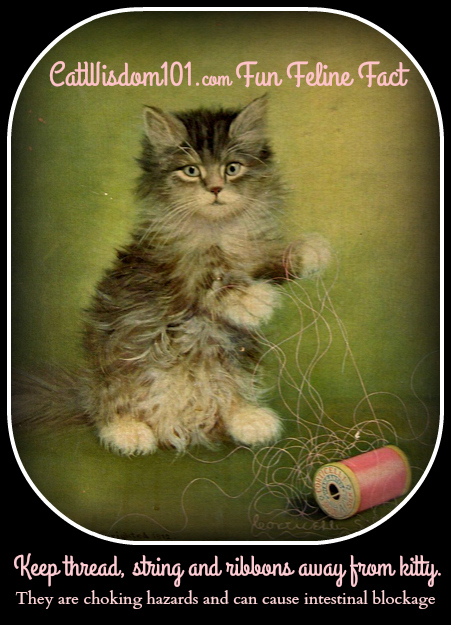 I love antique cat art. Thanks for sharing. 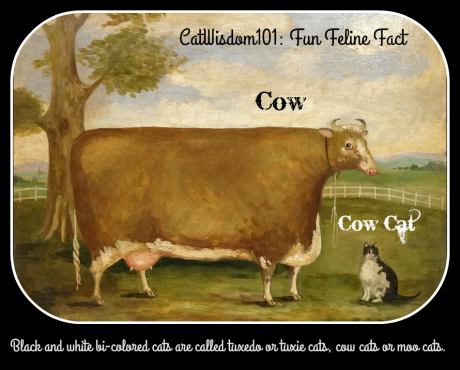 The cow and cow cat piece made me laugh too. I love the collection of vintage cat art! We love the vintage art…all with excellent messages. Those are lovely pictures, but serious captions. Those are great. I like the Mama cat saying enough already- spay me. I’m so glad to be a kitty living now – and not 100 years ago! 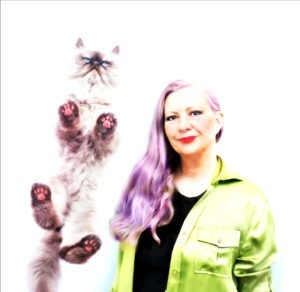 Mom used to collect vintage cat art – these are very cool. Yes, love the vintage artwork. I always wondered if Tuxedo cats that resembled cows might be called moo cats. Glad to know they are. Yes, spay/neuter. For those reasons. And they make better pets. They don’t hang out at the all-night dating bars. Yowling. K, as a tuxie lover, hope you enjoy the Moo Cats page. Love the vintage artwork………also love the caption you gave Momma cat! 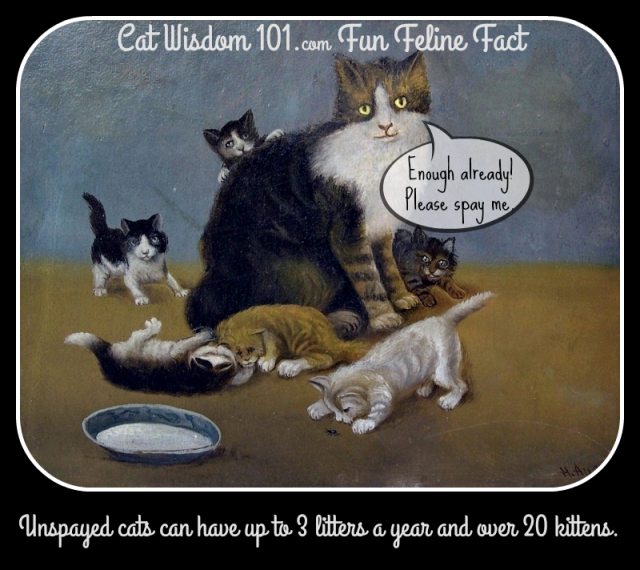 Good reminder of spay/neuter and the importance of that. Pretty pictures and great facts. What BEAUTIFUL pictures! I especially like third one down. I’m thinking my sister Tess might have looked a bit like that when she was younger. Way younger. And more innocent. You know, too innocent to frame me for stuff and the like. MO– — USES! Seville, I’m stopping by to see what mischief you’ve been up to. Ha, I know what you mean! Purrs to all!